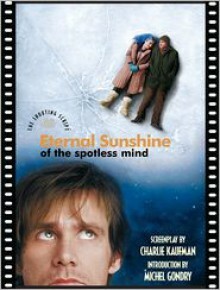 In this illuminating script book, Charlie Kaufman, the Academy Award®-nominated screenwriter of Being John Malkovich and Adaptation, shares the logistical challenges of writing Eternal Sunshine of the Spotless Mind in a fascinating interview.Kaufman also provides commentary on stills from the movie, revealing remarkable details about the editing process, set construction, and shooting techniques that were used to tell this unconventional story.In the film, Joel ( Jim Carrey) is stunned to discover that his girlfriend Clementine (Kate Winslet) has had her memories of their tumultuous relationship erased. Out of desperation, he contacts the inventor of the process, Dr. Howard Mierzwiak (Tom Wilkinson), to have Clementine removed from his own memory. But as Joel's memories progressively disappear, he begins to rediscover their earlier passion. From deep within the recesses of his brain, Joel attempts to escape the procedure.As Dr. Mierzwiak and his crew chase him through the maze of his memories, it's clear that Joel just can't get her out of his head.The movie stars Jim Carrey, Kate Winslet, Kirsten Dunst,Tom Wilkinson, Elijah Wood, and Mark Ruffalo.In the acclaimed Newmarket Shooting Script® format, the book includes an introduction by director Michel Gondry (Human Nature), a facsimile of the script, a Q&A with Kaufman, a selection of black-and-white movie stills with commentary, and the complete cast and crew credits.